Let the team of experts at Pure Cornwall manage your property through our full property management service. We offer our Property Owners a 5 star experience where The Pure Cornwall team will manage everything – from marketing and maintenance through to cleaning, housekeeping and laundry hire. Our experienced team work together to ensure your property is looked after at the highest possible level – our Property Owners are at the centre of our customer service. We understand that most of our Property Owners live busy lives, with many demands. Your holiday home should be for you to enjoy with the added benefit of the investment it can return. The Pure Cornwall team have a proven track record of achieving high occupancy rates and rental incomes. Just simply give us a call to see how we can maximise your income for your holiday home in Cornwall. 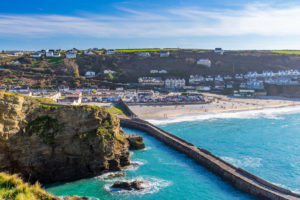 So whether you are thinking of renting your holiday home for the first time, or you are looking for complete peace of mind, relax and let one of Cornwall’s leading holiday home management companies help you. Pure Cornwall and all the staff that we have dealt with have made the whole process very easy and we would like to thank you all for the work you have put into Waterfront House.